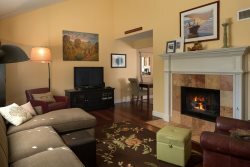 Cute, Cozy & Affordable Country Club Condo W/ Views of Mt. Elden! Rare 3 BR Log Cabin Treasure! Close to Grand Canyon, Flagstaff, and Sedona! Sleeps 8! Charming 3BR Cabin, Sits Amidst Ponderosa Pines, in Historic Downtown Flagstaff! Perfect Location, Exquisite Decor, Amenities Galore! New Listing! Sensational Town-home! Upgrades Galore / Ideal Location / Has A/C! Extraordinary, Ultra-Charming, One-of-a-kind, 4BR Treasure! Central to all Key Attractions! Majestic Sedona Stunner boasts Glorious Red Rock & Mt. Views - Exquisite Decor! Beautiful, 3BR Pine Hollow Retreat, Ideal Location, Loaded with Amenities! Utterly Adorable, Utterly Charming Studio, Nestled amidst the Ponderosa Pines!